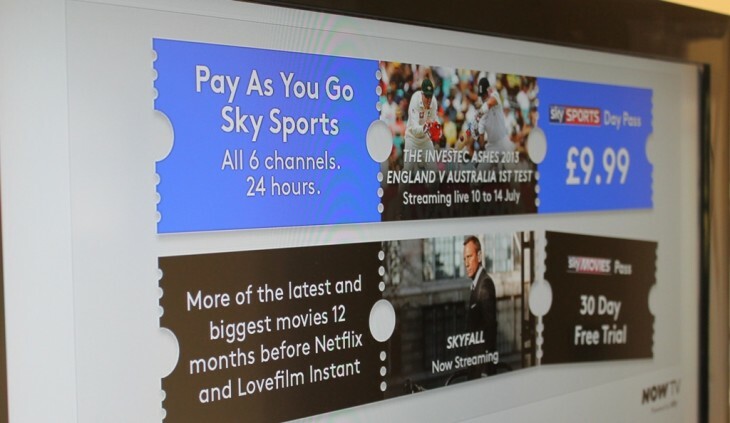 Almost a year after UK satellite broadcaster BskyB (Sky) first launched Now TV, its contract-free, pay-as-you-go Internet TV service has finally arrived out of beta for PlayStation 3 users in the UK. Some 3 months after the initial announcement in March 2012, Now TV launched first for PC, Mac and Android, which was followed by iOS, YouView, Xbox and Roku. The PS3, however, has been a glaring omission in Sky’s armory, and after an extended beta period, the app is now officially launched to one and all. To access the new Now TV app, simply visit the TV/Video services section on your PS3 and go to ‘My Channels’ where you should now see the app. Though Now TV began initially as a movie-only service, offering a monthly subscription plan or pay-per-view (an option that was subsequently removed), it finally brought Sky Sports into the mix in March this year, letting users access all its main sports channels for £9.99/24 hours. Though Now TV remains sports and movies-only for now, it has long-promised more content will be ushered in, including shows from Sky 1, Sky Atlantic, Sky Arts and Sky Living, and it’s thought this will be rolled out later in 2013.